In a national effort to increase participation and retention of African-American and Hispanic girls in youth athletics, the Women’s Sports Foundation (WSF) announced the 2016 recipients of the “Sports 4 Life” initiative. WSF has awarded $194,250 in funding to 40 organizations this year and is estimated to serve more than 10,000 middle and high school students. Valspar is providing $400,000 in cash and product donations to support Twin Cities Habitat for Humanity in 2016. With this donation, Valspar has reached the 100,000 donated gallons milestone to help low-income families, seniors and veterans in the Twin Cities area. GameStop, with the help of their family of retail brands, has raised more than $1.2 million for Autism Awareness Month for Autism Speaks. A portion of the proceeds will go to the Autism Speaks Family Services iPad Grant Program to help financially disadvantaged children and adults with Autism advance their communications and learning skills. Additionally, proceeds will be used to fund Autism Speaks research and science programs. National Endowment for the Arts Chairman Jane Chu has approved more than $82 million to fund local arts projects and partnerships in the NEA’s second major funding announcement for the fiscal year. Included in this announcement is an Art Works award of $30,000 to Legacy Foundation, in collaboration with artist Jan Tichy of the School of the Art Institute of Chicago, artistic producer Dr. Jeffreen M. Hayes of bridge/arts and Threewalls, and artists Marissa Lee Benedict and David Rueter, to install a series of responsive, networked, and reprogrammable RGB LED area lights in City of Gary parks. Legacy Foundation will match the grant with an additional $25,000. The Hagerman Foundation has donated $120,000 to Grand Circus‘s Develop(her) Bootcamp, an intensive training course teaching students to become Java developers. The donation was made as a stipend for scholarships, ensuring students will be able to dedicate their full attention to the program. Thirteen registered nurses at Parkland Health & Hospital System were among those who were honored as 2016 Dallas/Fort Worth Great 100 Nurses on May 3rd. The Parkland RNs earning recognition are: Cindy Wheeler, Courtney Edwards, Dawn Lewellen, Gabe Fruge, Kashundra Foreman, Olubunmi Akinfolajimi, Robert Metzger, Deborah Boyer, Idella Thomas, Karla Voy-Hatter, Waltona Cummings, Tammy Regitz and Monica Newman. In honor of Drinking Water Week and Water For People‘s #FacesOfProgress Campaign, their longtime partner Brown and Caldwell helped double their impact by matching all donations up to $50,000 until May 11th. At the 2016 SUS Dinner For A Better New York, Services for the Underserved (SUS) honored two culinary giants; Dana Cowin and Christina Grdovic. The goal was to raise awareness and support for SUS’ Urban Farms that are providing therapeutic horticulture, nutritional programming, and employment opportunities to the individuals we serve throughout New York City. Former President of the Foundation for Child Development , Dr. Orville “Bert” G. Brim, will be celebrated for his achievements and contributions to the foundation and during his lifetime. Dr. Brim was the first President to realize the Foundation’s new mission to support social research and advocacy that could inform sound policy action in promotion of positive early childhood development. One of Points of Light‘s Daily Point of Light Award recipients, Jaha Dukureh, is included among Time Magazine’s “100 Most Influential People”. Jaha is being honored alongside such leaders as Barack Obama, Christine Lagarde, and Angela Merkel. On May 20th, Pearl S. Buck International hosted Taste of the World showcasing the area’s top restaurants, caterers and other food and beverage purveyors. Proceeds from the gala help build better lives for children around the globe and provide local students opportunities to explore other cultures. Dr. Ron Haskins and Dr. Isabel Sawhill were honored at the Daniel Patrick Moynihan Lecture on Social Science and Public Policy as co-winners of the American Academy of Political and Social Science‘s 2016 Moynihan Prize. CHARRIOL is launching their first-ever “Watch Me Graduate” program – a partnership with Graduate Women International, the nonprofit organization whose goal is to empower women and girls through lifelong education. As part of the partnership, a percentage of all proceeds from the sale of CHARRIOL’s St. Tropez 35 Collection will be donated to the charity. The State of Women in Chester County, organized by the Chester County Fund for Women and Girls and the Chester County Women’s Commission, is a conference held on May 12th for the launch of their Update to the Blueprint Report: Leveraging Progress. The 2016 report is an objective and comprehensive assessment of the status of women and girls in Chester County compared to the status of women and girls across PA and the US. Researchers from Civic Enterprises and the Everyone Graduates Center at the Johns Hopkins University, in partnership with America’s Promise Alliance and the Alliance for Excellent Education, released to the public the 2016 Building a Grad Nation report, the seventh annual update on the progress and challenges in raising high school graduation rates. The four organizations lead the GradNation campaign, a nationwide effort to boost on-time high school graduation rates to 90 percent by the Class of 2020. The Gordon Parks Foundation‘s annual Awards dinner, which honors individuals who have contributed their lives to the arts, will take place on May 24th. The Foundation permanently preserves the work of Gordon Parks and other artists, makes it available to the public through exhibitions, books, and electronic media and supports artistic and educational activities in which he had an interest during his lifetime. Women Entreprenuership Day (WED) celebrated women in business with their WED & CORE: Club Breakfast Series on May 20th. The Breakfast Series featured personal success stories from women in an effort to provide motivation and give back to society – including honorary guest and CEO of HSN, Mindy Grossman. On May 12th, the national wireless industry came together to support the Wish for Wheels Foundation as a part of Colorado Wireless Association‘s Bike Build and Give Event. In addition to building bikes and giving them elementary school children in Denver, participants were encouraged to share and tag their photos on social media with the hashtags: #COWABikeBuild and #WishforWheels. Alliance for Justice, Equal Justice Society, Courage Campaign, and People for the American Way held a discussion on May 17th in regards to the supreme court vacancy. Speakers Alliance for Justice, Equal Justice Society and Courage Campaign Presidents Nan Aron, Eva Paterson, and Eddie Kurtz lead the discussion on engagement and working together. Artist Trust has awarded the 2016 Irving and Yvonne Twining Humber Award to artist Barbara Earl Thomas. Thomas receives an unrestricted cash award of $10,000 in recognition of her creative excellence, professional accomplishment, and dedication to the arts. Melanca Clark has been named as President and CEO of the Hudson-Webber Foundation. Ms. Clark joins the Foundation from Washington, D.C. where she currently serves the U.S. Department of Justice Chief of Staff of the Office of Community Oriented Policing Services. She will assume her new role in August 2016. May 25–27 at the University of Tennessee, Knoxville, Destination Imagination‘s Global Finals 2016 Innovation Expo will celebrate creativity, innovation and education for all ages within the fields of science, space, technology, community outreach and creative inspiration with the help of this year’s exhibitors. During Mother’s Day, HomeAid America conducted their annual “Essentials for Young Lives” campaigns, providing needed baby supplies such as diapers, wipes, and formula for charities helping homeless mothers and families across the country. NYC-based Resource Furniture has donated complete home furnishings for eight studio apartments designated for homeless veterans in Monadnock Development’s new Carmel Place micro-apartment building. The nine-story development, designed by Brooklyn based nARCHITECTS, is comprised of 55 units, 40% of which are set aside for affordable housing, with eight apartments designated for Veterans Affairs Supportive Housing. Hillel International will present Mark G. Yudof, President Emeritus of the University of California and a leader with the Academic Engagement Network, with the Maimonides Award, one of the organization’s highest awards for a university leader. Futurist Cecily Sommers will speak at the Greater Public‘s Public Media Development and Marketing Conference in August, speaking on breaking addiction to certainty. The event will take place in Boston, MA. Jewish Funders Network (JFN) has released a special JFN edition of the guide to Program Related Investments by Mission Investors Exchange. Comprehensive and practical, the guide aims to give Jewish philanthropists all the information they need to begin making PRIs a part of their philanthropic toolkit. Rasmuson Foundation has awareded Anchorage artist Don Decker with the 2016 Distinguished Artist award. The $40,000 award recognizes an artist with stature and a history of creative excellence.In addition to the Distinguished Artist, Rasmuson Foundation has selected 10 artists to receive Fellowship Awards ($18,000 each) and 25 who will receive Project Awards ($7,500 each). Marh Poeschl will become the new chief executive officer of both the The National FFA Organization and the National FFA Foundation effective August 1st. Henry Schein, Inc. has donated 1,500 oral health kits to the Major Stuart Adam Wolfer Institute that were included in care packages prepared for active-duty U.S. troops and veterans in need. This Memorial Day weekend, Carson Long Military Academy in New Bloomfield, PA will hold a patriotic choral concert on Sunday afternoon, Memorial Day Parade on Monday, and honor members of its Gold Star Platoon and Legion of Honor. This past march, the White House, along with Jet.com and Cuties Diapers, launched the Community Diaper Program, an initiative aimed to provide affordable diapers to low-income families across the US through participating non-profits. First Quality (the maker of Cuties-brand diapers) created Jet.com-exclusive diaper packs that would be half the cost of the national average, one-third the cost of the highest corner store prices, and even be more affordable than purchasing from a mass retailer or club store. Vibes Hi-Fidelity Ear Plugs of Minnesota, USA and Swiss-based charitable Hear the World Foundation are pleased to announce their charitable partnership to enable access to hearing healthcare for children in need. In the interest of hearing health, Vibes will contribute part of its revenues to the work of the Hear the World Foundation. Opportunity Collaboration‘s 2016 conference will take place in Cancun, Mexico October 9-14. Registered Delegates can propose conversation topics for the 2016 Agenda, and pair-up with Catalysts. ascena Foundation‘s Third Annual Roslyn S. Jaffe Awards nomination period is open. Nominations can be submitted online or via a mail-in form through June 15. Moving America Forward prepares for Troopathon 9, a month-long fundraising event to send care packages to the troops overseas for the Summer. The goal is to send care packages to every deployed serviceman or woman overseas. The Chester County Fund for Women and Girls welcomes Chester County high school girls entering sophomore and junior year in the Fall who are interested in becoming grant makers to apply for the 2016 Girls Advisory Board. 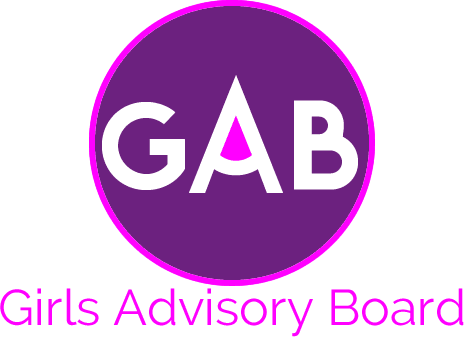 The Girls Advisory Board (GAB) is a nationally-recognized girls grantmaking program providing 20 local girls with the opportunity to award $20,000 in grants to local nonprofits helping girls and young women in Chester County. The Hedge Fund Association Southeast Chapter will hold a cocktail reception June 2nd in Miami, Flordia. This is event will be a casual discussion and networking event.